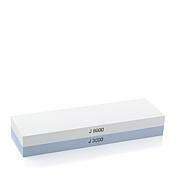 Have dull knives got you on edge? 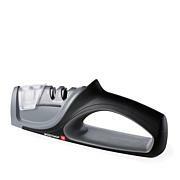 This 2-stage knife sharpener sharpens and hones your best blades first with a coarse diamond edge and then a smooth ceramic edge for fine honing. 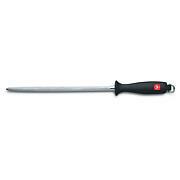 It gives you just the precision you need to keep your edge in the kitchen. 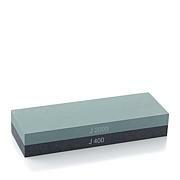 Always rest sharpener on flat, sturdy surface, and use handle for control and stability during sharpening. Care: Always clean after use. Clean with damp cloth or mild brush. Wipe dry. Do not rinse with water. I have 4 knifes that I like to sharpen every time I use them and hate to get the electric sharpener out so this fills the bill. I wish it were a little more stable, but other than that it works great. I just choke up on my hold on it and it stabilizes it more. 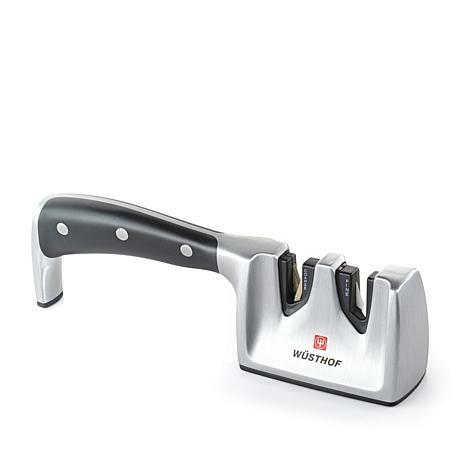 Crafted since 1814 in the world's "cutlery capital" of Solingen, Germany; Wüsthof knives have long been the choice of professional chefs and home cooking enthusiasts who demand form, function and uncompromising quality. Created to exacting measures in a state-of-the art facility, each piece is an artistic blend of old-world craftmanship and twenty-first century technology.